We undertake to manufacture extracts which comply with your specifications, whether these are to attain a specific nutritional or physical effect or a defined concentration. Our extracts are manufactured from natural raw materials. 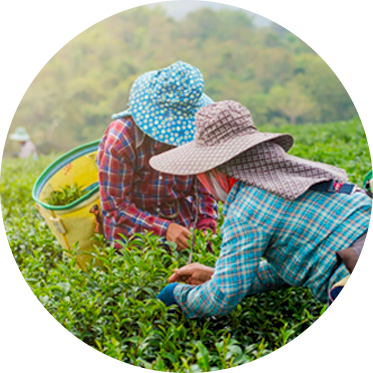 By definition, these materials are not standard and its quality and availability vary depending on the origin, climate, agronomic conditions and seasons. Our challenge is to secure the supply of raw materials on the one hand, and to ensure the quality and safety of the extracts on the other hand. The quality of our extracts depends on a thorough and rigorous selection of raw materials. We favour direct relations with producers and carry out regular on-site visits. These long-term relations also enable us to exercise our influence in introducing and monitoring good agronomic practices by farmers, such as biodiversity, water management, use of pesticides or the fight agaist child labour to name a few. 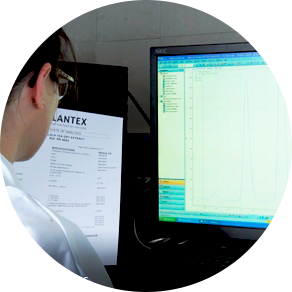 Driven by global demand and market developments, as well as the desire to offer innovative products, the Plantex R&D lab’s objectives are to research the hidden potential of each plant to meet with new expectations, directed towards the presence of certain active ingredients. 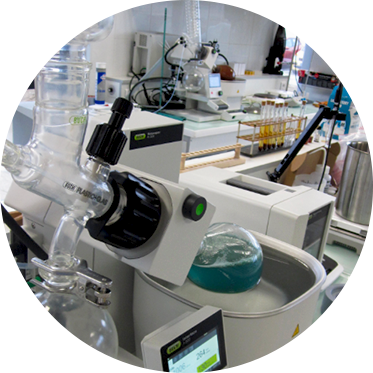 Through a multidisciplinary approach, we aim at developing proprietary products, offering innovative solutions and optimising the industrial process of our clients, for example in terms of eco-extraction (green solvents: water, different proportions of ethanol), or in terms of technology, adding value to co-products, respecting the plant material and its sensitivity and the search for economic and technical efficiency. Our products are controlled at each production step. Our biochemical and agrifood engineers test more than 2000 batches per annum and thus ensure full traceability from the raw material to the finished product. Premium Quality means, amongst others, accredited suppliers, control of every manufacturing step, information transparency, integral traceability and pro-active regulatory information and interpretation assistance. Plantex implemented HACCP procedures early on and is ISO 22000, Kosher and Halal certified. We are regularly being audited by official certification agencies as well as clients. We are one of the pioneers of organic plant extraction. Since 1998, Plantex has been organic certified by Ecocert. Today, organic products represent some 25% of our sales. Good Manufacturing Practices in the Food Industry. Following our move, we are aiming to attain the GMP food quality certification. Our new plant was especially designed to strengthen our management of product cross contamination risks. Our Safety, Hygiene and Environmental Department aims at continuously strengthening our procedures and organisation in the spirit of excellence. We are subject to strict regulations aimed at ensuring product safety and quality. These regulations vary country by country and change permanently. The French regulation is one of the most rigorous and thanks to our critical mass and commitment, we are able to respect this regulation to the letter. We have set up a proactive regulatory information and interpretation help desk for our customers and suppliers. 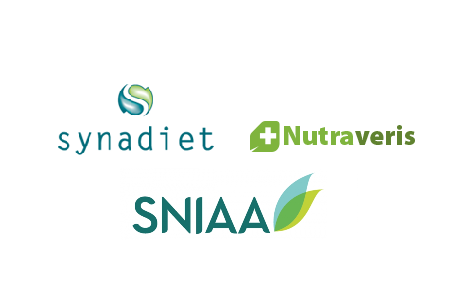 For example, we were very quick to implement measures to ensure compliance of our products with the French Plant Decree of 24 June 2014 which establishes the list of plants, other than fungi, authorised in nutritional supplements and the conditions of their use. Plantex is serious about its corporate and environmental responsibilities and was an early adopter of practices which are now considered standard. In all our decisions, we seek to balance the company’s interests with those of other stakeholders, being our personnel, customers, suppliers and public authorities. 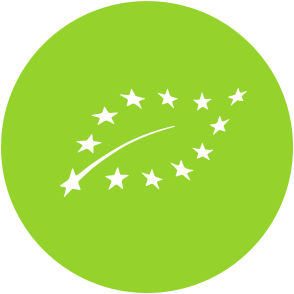 As a producer of natural extracts for human and animal consumption, our main responsibility is to ensure the safety of people and products which we put on the market as well as strict adherence to regulations. Furthermore, our commitment goes well beyond this as shown by our efforts to promote, together with our producer partners, responsible agricultural practices, in particular the promotion of organic products, respect of the biodiversity, the fight against child labour, corruption and any form of discrimination. We also financially and materially support local communities in Madagascar, for example in supplying farm equipment or school materials (www.prevact.canalblog.com) as well as other projects focusing on children’s well-being in partnership with UNICEF. Closer to home, we aim to reduce our direct environmental footprint. Our new industrial site was designed, amongst others, to reduce energy and water consumption, as well as the EMISSION of atmospheric micro-particles. We also actively manage plant waste by recycling the residuals (compost or green energy production) and the production of by-products.